We Want To Improve Sales Effectiveness….. This is always a difficult start to a meeting, because the response is always the same, “It depends on what you are trying to achieve.” Unfortunately, too many people think there is a solution to sales effectiveness – possibly, because too many consultants say there is a solution to sales effectiveness (it’s usually their solution). In reality, like many things in business, “improving sales effectiveness” can be achieved in a number of different ways, but some of these may be inappropriate for what you are trying to achieve. Some solutions may have a higher impact than another. Some may be a waste of time, resource, or money. Do you have the right sales deployment and coverage models—are you reaching your targeted customers, are you supporting the way they want to buy—ecommerce, through partners/channels, telesales, direct, …….? Are you trying to acquire new customers? Are you trying to retain existing customers? Are you trying to grow your key accounts business? Do you have the right sales process in place? Is it current, is it competitive, are your people using it? 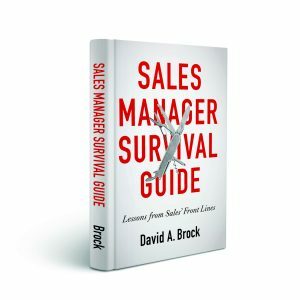 Do you have the right sales people? Do you need hunters, farmers? What types of people are most effective in working with your customers? Do you have the right levels of activity? Are the people getting engaged in a sufficient number of opportunities? Do you have the right numbers of leads that support the activity levels you need? Are your win rates where they should be? 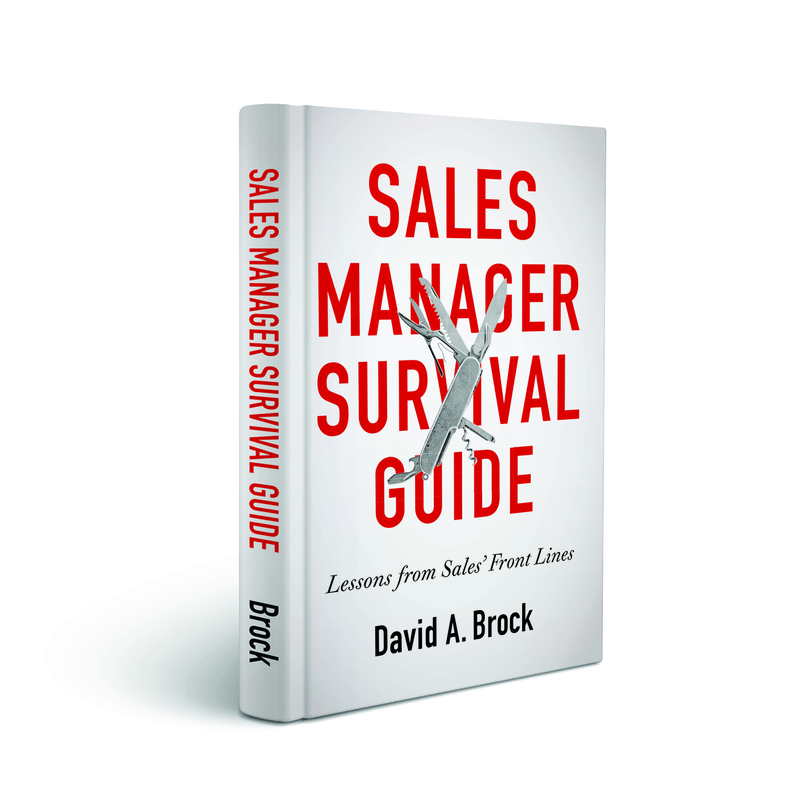 Do you need to reduce sales cycle? Do you need to improve deal profitability? Are there things that are detracting sales people from engaging with customers—do they spend too much time on customer service calls, are they spending too much time in administrative work? Do they have the systems and tools necessary to support them in executing their jobs? Do they have the right skills? Do they have the right product, business, selling skills? Do they understand their jobs, do they understand the organization’s priorities, do they have a clear set of metrics that focus them on achieving the organization’s priorities? Do they have the incentives that reinforce the organization’s priorities? Do they……… The list of things that influence sales effectiveness can go on. As I go through this explanation, sometimes a frustrated executive interrupts, “Well, how do I figure this out?” This is a great start—if we want to improve sales effectiveness, productivity, performance, or efficiency, we have to first understand what problem or problems we are trying to solve. Sometimes, the starting point is obvious—we have a customer retention problem, our win rates are much too low, our cost of selling is too high, our sales cycles are too long, our voluntary turnover is too high….. These are great starting points, but we have to drill down. What is our current customer retention? Why are customer leaving or not buying again? Why…… Our goal is to drill down and understand what is causing the problem we are seeing. For example, putting in place a key account program, training sales people in relationship management, improving the frequency of targeted communications won’t improve customer retention if your product quality is terrible. After you have identified the root problems, it’s important to prioritize the solutions—solving the most important problem first, then working on the next, and the next, and the…. For example, focusing on improving win rates may not give the boost you want, if sales activity levels are too low. Several years ago, I worked with an organization—they weren’t making their numbers, management thought win rates were too low. In part, they were correct, they could have been improved by about 10-15%–however, that would not have solved their problem of making the number — the gap would have just been smaller. It turned out, after looking at their highest performers, comparing them to the rest of the organization, the highest performers did not have significantly higher win rates—their activity levels were a little more than twice that of the rest of the organization. They were simply finding and competing in many more opportunities. In this case, the highest priority solution was to focus on activity levels. Without changing win rates at all, we focused on doubling activity—this provided a tremendous improvement in results. Once activity levels were at the rate needed, then we started looking at improving win rates to get a further increase in sales performance. Every organization seeks to improve sales effectiveness, performance, productivity. Defining what you are trying to achieve, understanding the root problems, prioritizing the alternatives are critical to having an enduring impact. Another great post Dave. I know a weakness of mine when I first started in sales was failing to “drill down” to understand the real problem. this is crucial if we want to solve the real problem. If they have attained the majority of the key accounts but are having issues with internal growth and/or retaining these customers, developing a strategy for acquiring new customers would likely be a significant waste of time and resources. This method of drilling-down to the real problem at hand is a requirement for all levels of the sales function in my mind. Finding the real problem is hard work. Too many people seem averse to doing the work, choosing instead to look for the easy answers–that they know and we know really don’t work. As always, Adam, thanks for the comment. Hi Dave, as Adam said another timely post that will get us all thinking. Activity and effectiveness are intrinsically linked. When people say they want to improve sales effectiveness don’t they really mean, they need to improve some area of performance if they are going to make target this year? If this is what they really mean, then as you say the challenge comes to how they analyse the root problems or bottlenecks and how they measure the impact of solving the problem or removing the bottleneck that is affecting activity or effectiveness. Would you agree teams need to drive this root cause analysis, if they prioritise the problems and build the solutions (maybe with some guidance) sales effectiveness should improve, or am I missing something? Sorry I asked two questions here. John, you are absolutely on target—but somehow too many people don’t do this, seeking silver bullet solutions, wishful thinking, or other shortcuts. Great leaders–whether they are individual contributors or managers recognize these issues. They look for root causes, they are disciplined in their problem solving process, they recognize there are a lot of moving parts that need to be addressed. Somehow, too little of this gets done. I wish I knew why. The bottom lne – pun intended – is the bottom line, at least when speaking about sales effectiveness. The purpose of sales is to drive revenue and being more effective means more revenue. As you and I have both spoken about, the problem is much bigger than getting orders. How do we get orders and why, how do we keep customers and why, are some of the big picture questions that remain unanswered in “big number, algorithmic” management. The real question is, is the C-Suite ready to put on real clothes in favor of the Emperor’s New Clothes? Digging deeper into the core problems is painful, but that is where the solutions lay. 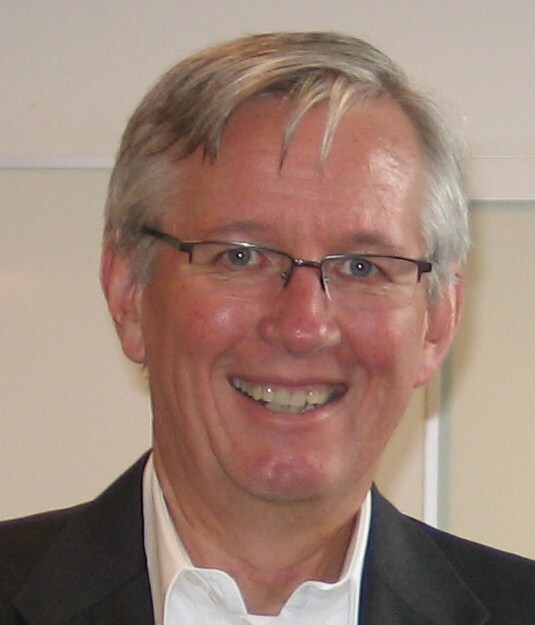 Gary, as with everything, sustained effectivness requires management commitment and support from all levels. I always enjoy how most of your posts come directly from customer conversations. It tells me that you are in possession of the most rare and precious asset in the business world: you are listening. I wonder if the short-sightedness of some managers, desperate to solve the “effectiveness problem,” is made worse by the frustration and weariness of keeping all those balls in the air day after day. When exhaustion sets in, the idea that their might be some single easy fix to their problems probably looks awfully inviting. The more tired they are the more they want to believe that it’s true. What I hear you saying, through the contemplative unpacking of things that could be potentially unraveling sales performance, is that there are likely to be several underlying causes to such a large problem. Wise managers should step back, consider all the sub-objectives that lead to good performance and deal with each one accordingly. The thing that stands out for me in your post is that your talking about a strategy that will “have enduring impact.” I suspect we would all do well to focus at least as much on long term success as we do on next quarter’s numbers! Don, thanks for the comment. The only area I would quibble with is that much of what we do in sales effectiveness can have impacts on both short and long term goals. Many of the short term oriented initiatives are great—they just aren’t sustained, because attention is lost or there is insufficient commitment. I’m always amazed at how we can find the time to correct mistakes and rework errors, but we never find the time to do things right. I agree with Gary’s comment about “sales effectiveness” meaning “increased revenue.” The question sales consultants need to address with business decision-makers is how they plan on making this happen. The questions isn’t, “are you going to increase sales effectiveness?” The questions is, “how are you going to do it?” And that, I think is what is addressed in this article. Great stuff! Doug, thanks for the comment and the provocative questions-they are right on target. Perhaps a nit-picky point I think there is a richer definition of sales effectiveness, which may be why it is so challenging. For example, in one very large client situation right now, the we have established is keep revenue growing at the rate it has been (ie we could do nothing), but to dramatically reduce cost of selling. Gary, in his comment said, “the bottom line is the bottom line” Revenue is actually the top line 😉 I took it easy on Gary because of his advancing years. There are also several other dimensions to sales effectiveness–giving me excuse to write more. Having said that, all the arguments focused on the increase revenue objective are absolutely fair and on target.